Enjoy the peace of mind in knowing you’ll be heard in an emergency. 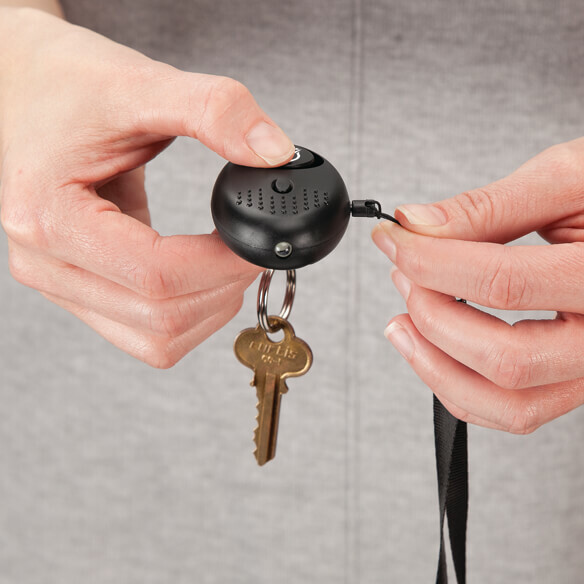 2-in-1 personal safety alarm by LivingSURE™ is small enough to fit on a keychain but sounds a 125-decibal alarm for up to 1 1/2 hours when its cord is pulled. 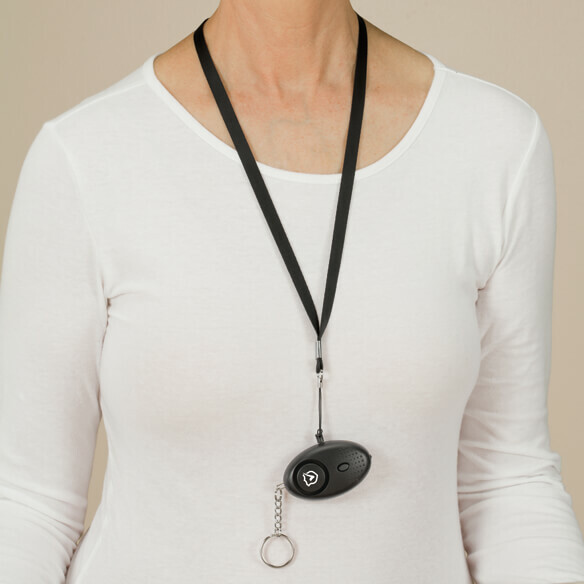 Designed for easy use at any age, this non-lethal personal security alarm is ideal for deterring criminals and drawing attention if you need help. Perfect for walking, driving and more, its built-in white LED light helps you see with the touch of a button. 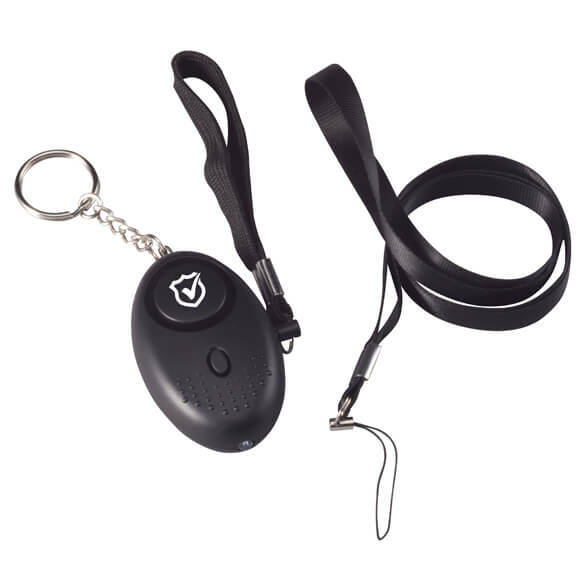 Personal panic alarm includes pull strap, key ring and neck lanyard for security on the go. Batteries last approx. 6 to 12 months and are replaceable; requires 3 AG13 batteries (included). Specify color: silver or black. 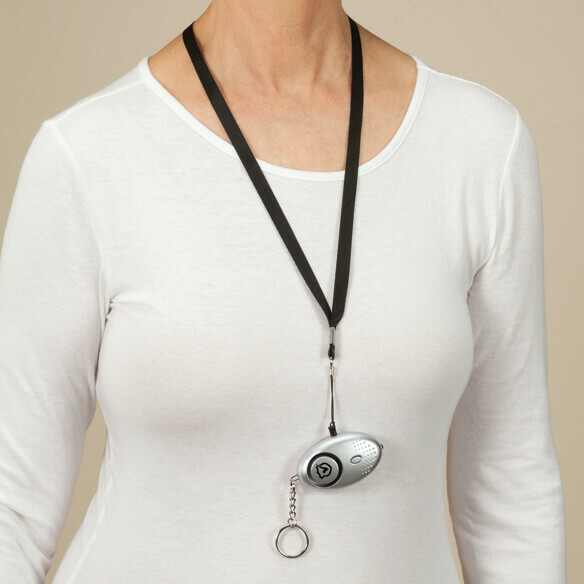 As a caregiver this is perfect for the person being cared for. Great price. I take a lot of walks on my street where I live and I think it is some extra protection. how can we shut off the alarm? how does this medical alert work? BEST ANSWER: Thank you for your question. 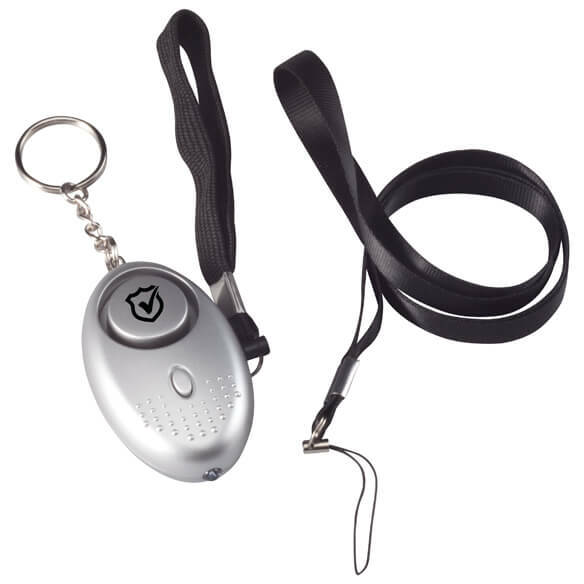 This item is not a medical alert per say, it is an alarm, it sounds a 125-decibal alarm for up to 1½ hours when its cord is pulled. We hope this information will be of help to you.